By Kay Tan in Internet. Updated on May 8, 2018 . In the good Ol’ days, Flash rules the multimedia application on the web, but the arrival of HTML5 changes everything. 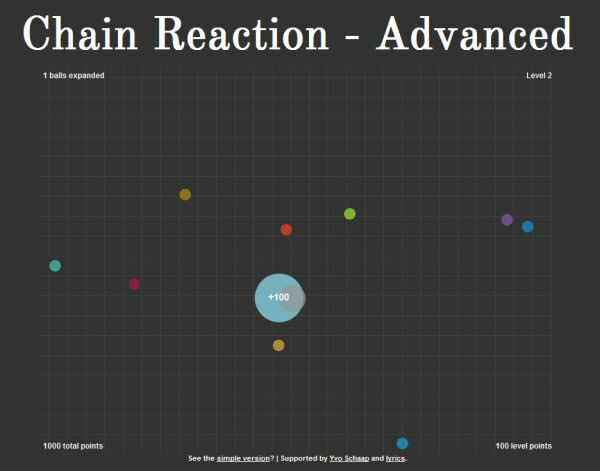 Although the web generally agrees that Flash and HTML5 have their own advantages and specialties, in fact we’ve seen more websites are implementing HTML5 instead of Flash, even for web games. 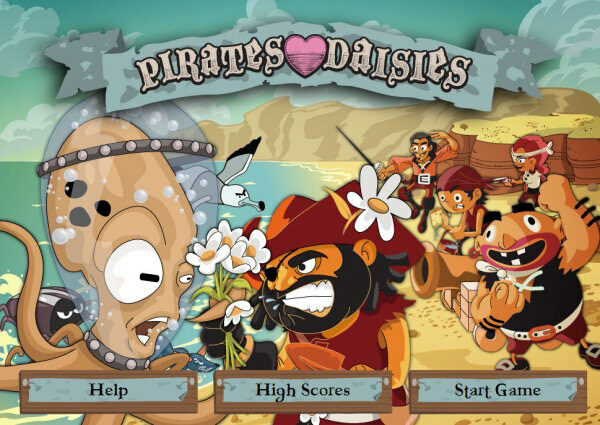 Cool features of HTML5 like Canvas, Audio and Video elements make the web gaming possible without Flash, and you do not even need the plugin to play the game! To show the true gaming potential of HTML5, we’re gonna show you 40 interesting and addictive web games including Angry Birds for you, and they’re all powered by HTML5! Get ready to spend few minutes or an hour to have fun with all of them. Free games after jump! Note: Latest version of Google Chrome, Firefox, and Internet Explorer are strongly recommended for playing the games. 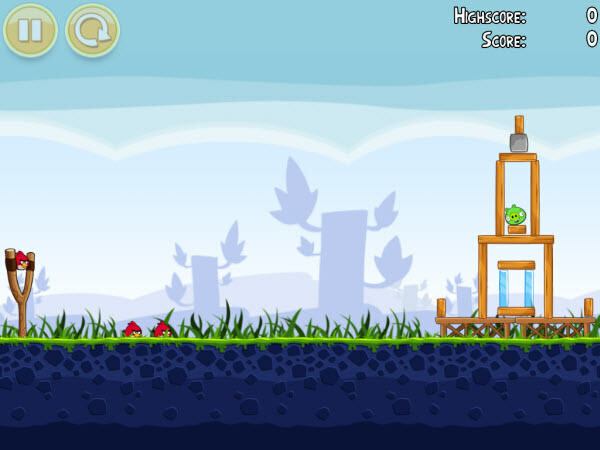 Angry Birds online in HD! It can actually be played on the latest version of Google Chrome, Mozilla Firefox and Internet Explorer. 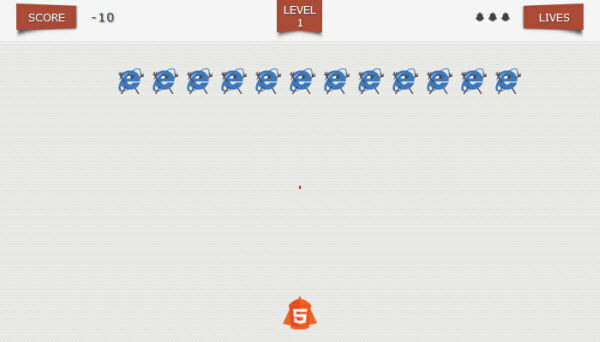 Shoot down the IEvil with your HTML5 jet! I doubt if the authors were the victims of Internet Explorer 6. 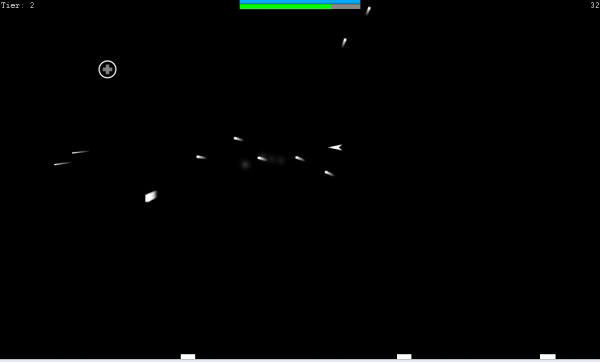 An addictive game with only white boxes and other simple shapes on a black background. 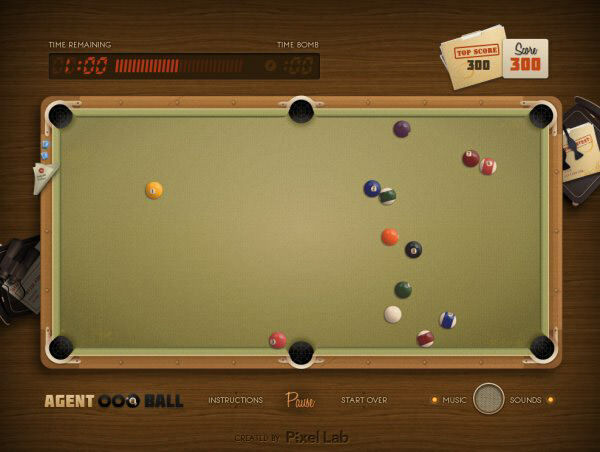 You must sink as many pool balls as possible before the timer runs out. Watch out for time bomb! Bored of playing snooker alone? 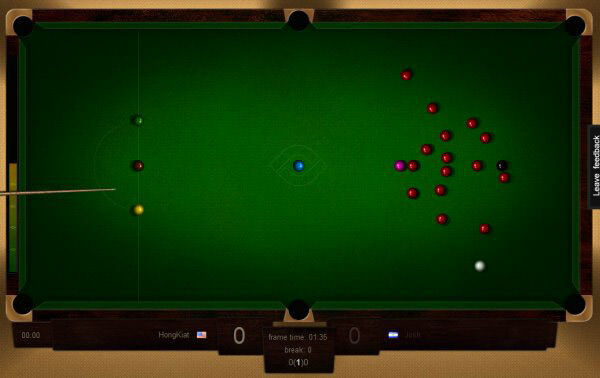 With Web Snooker you can play with your online friend, show them who’s boss! Wanna know how many objects you can detect within 1 second? Here’s the game for you. 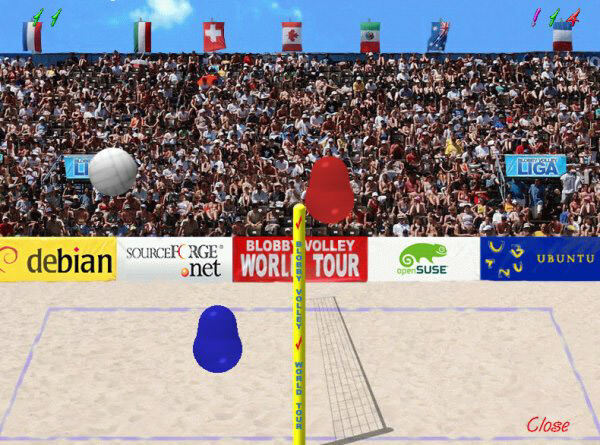 It’s the famous blobby volley game, and your objective is to score more points than your opponent. Put a bomb into balls to start a chain reaction. Try to find the right moment and place. 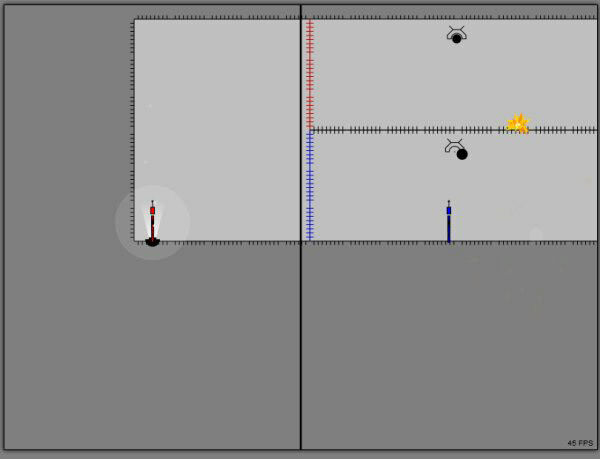 Higher levels will increase the amount of balls you have to react with only one bomb. 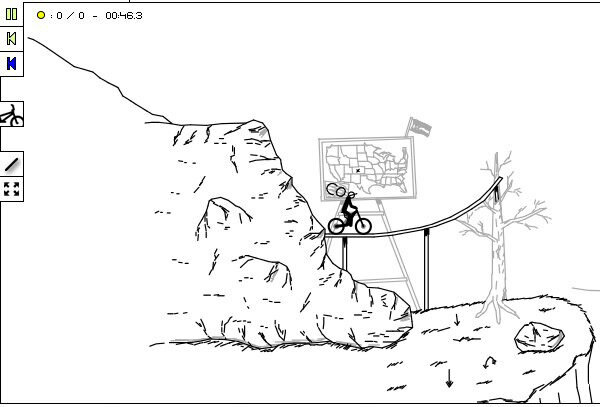 Canvas Rider is an addictive game where you ride a bike on tracks drawn by other players. Google version of Pac-Man, originally created as an animated logo for the game’s 30th anniversary on May 22, 2010. 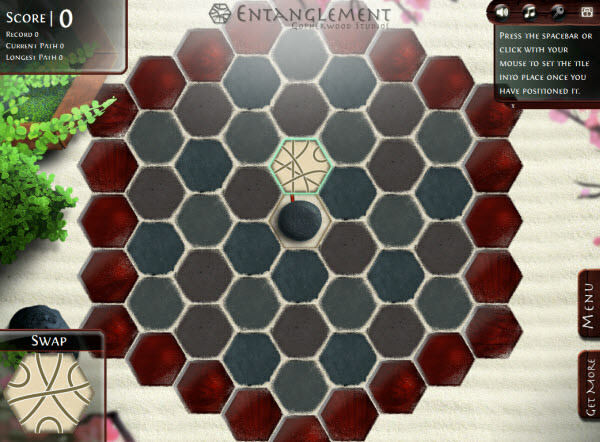 Entanglement is a fun HTML5 puzzle game, which you begin the game with a hexagon in the middle of the screen. Crystal Galaxy is an action space shooter. 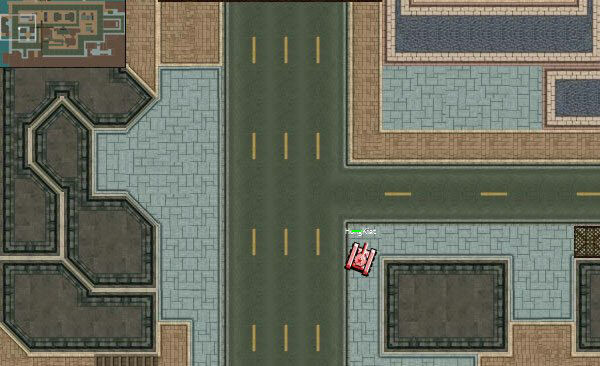 It has a unique, mouse based control scheme that allows you to move and aim to any direction. 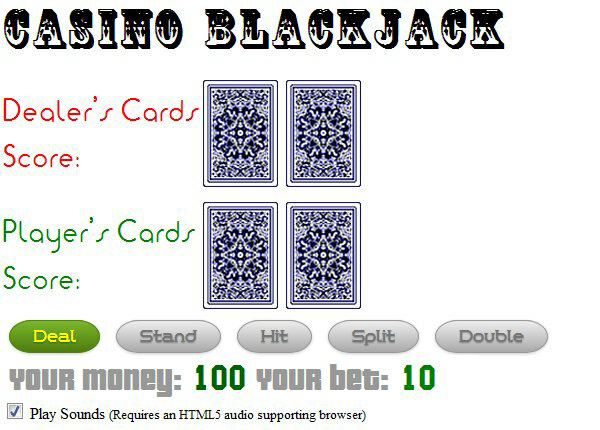 HTML5 Blackjack is a blackjack game in HTML5. You start with $100 and can bet $10 per hand. The objective is to avoid the wall, but how long can you avoid it? 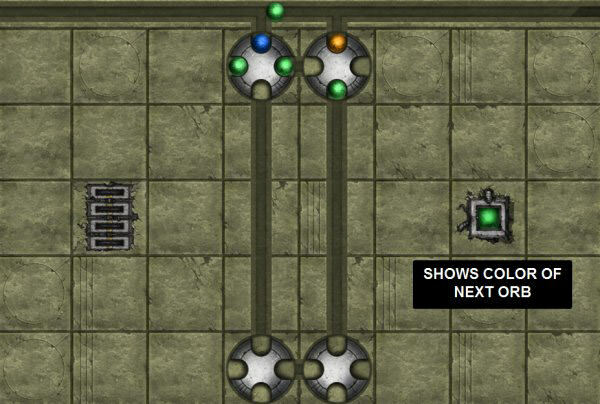 A fun puzzle game involving different colored orbs. The aim is to slot the orbs into 1 of 4 slots on a rotatable container and try to get all the same colored orbs into the same container. The objective is simple, you’re a tank, and your goal is to destroy other players! 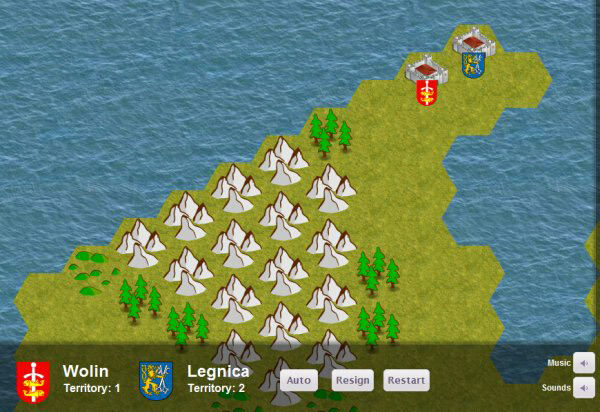 Find the right tactic to take out the blue fleet. 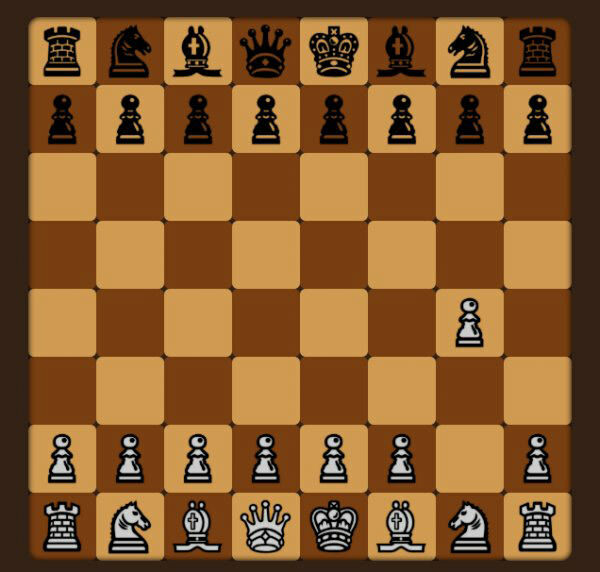 PlainChess aims to be a simple yet beautiful alternative to the cluttered chess portals currently existing. 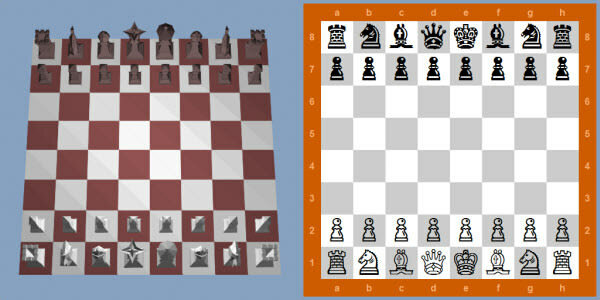 A great 3D chess game which 2 human players can play the game on either a 2D or 3D board. You can also play against machine! 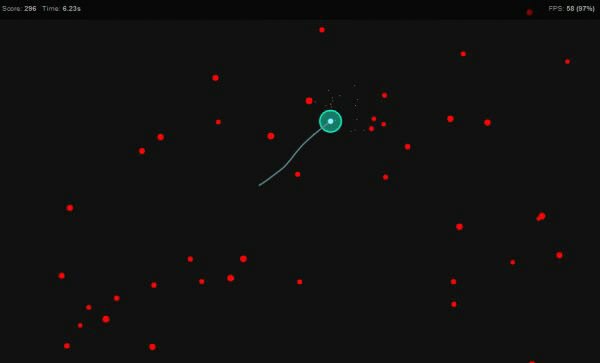 A HTML5 canvas game using only mouse input. The goal is to stay alive for as long as possible and gain higher score. 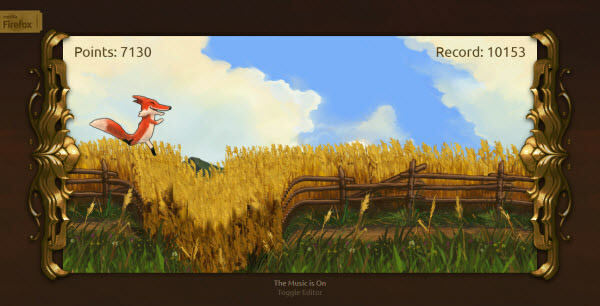 Runfield is a simple yet wacky HTML5 game in which you take the role of a hyper fox. Simply click to jump over the holes and ditches. 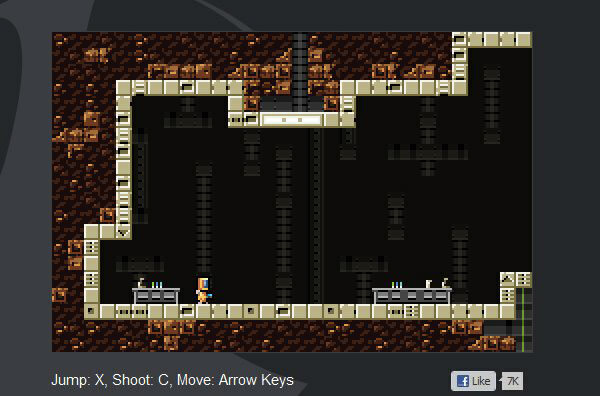 A complex and challenging HTML5 platformer. 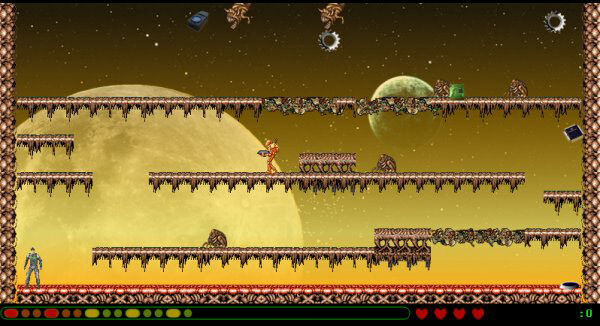 The exit to each level is blocked by enemies that roll, jump, fly, and shoot to prevent escape at all costs. 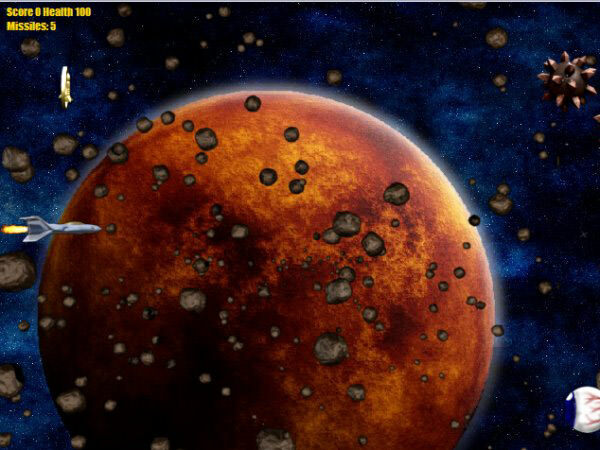 Swarmation is a multiplayer HTML5 game. It tests your ability to make some quick decisions and requires you to work with all other players playing with you. 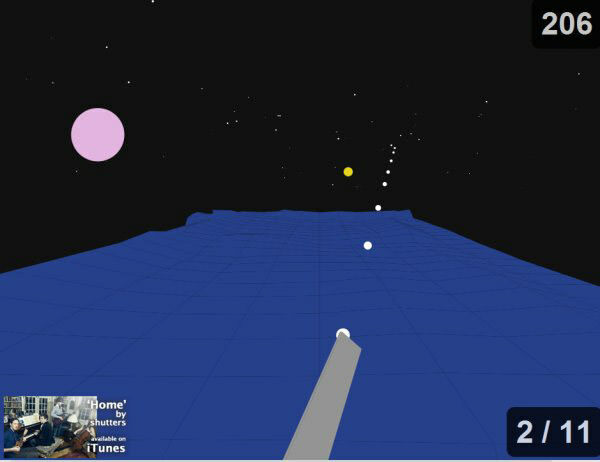 Fly with a cannon in a 3D area and shoot the objects. 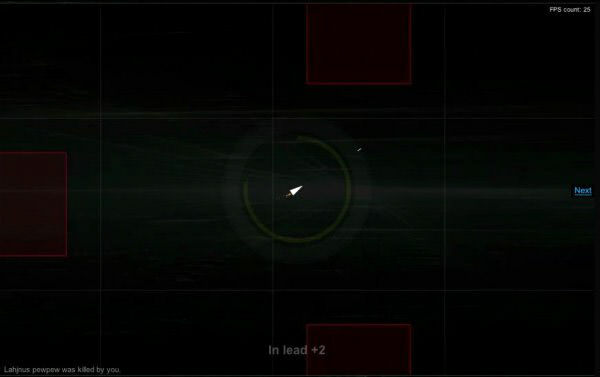 Move your mouse to aim and click to fire the cannon. You know about this, conquer and the world is yours! 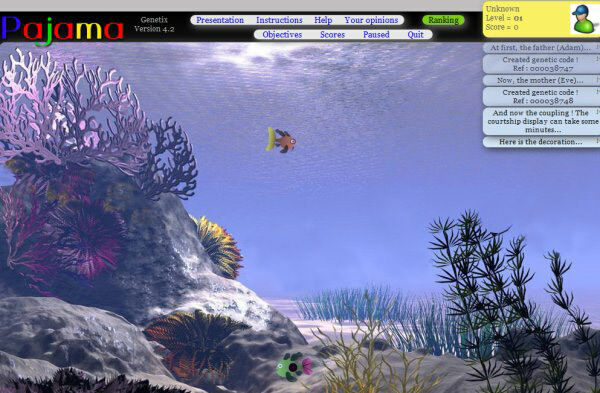 PaJama is a fish breeding game based on the fundamental laws of the genetics. 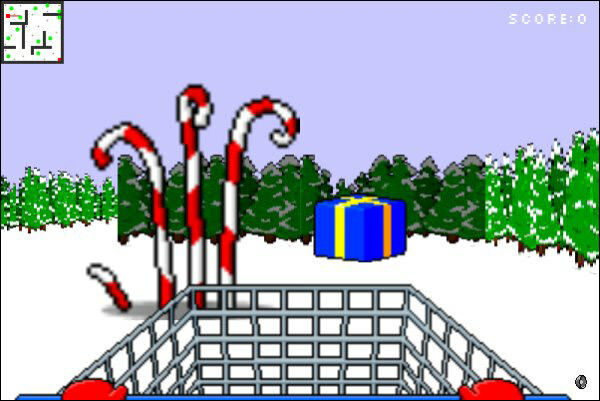 Collect all the presents before it gets to Christmas Eve! 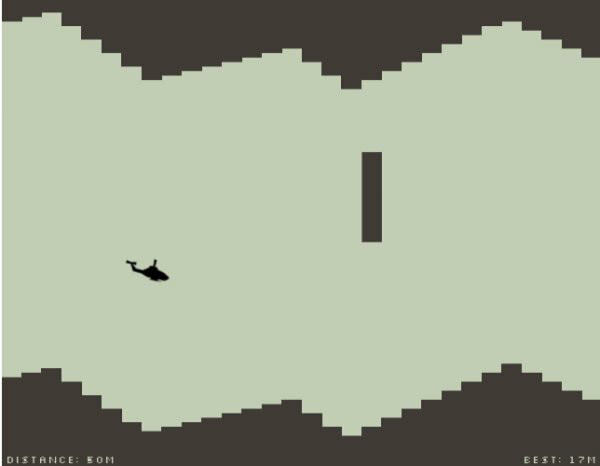 As with all the retro classics, the game ends you at the deep end of the difficulty scale. 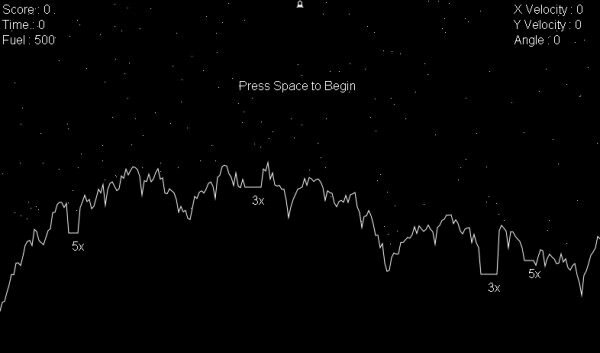 Use the cursors to move left and right and the space bar to jump! 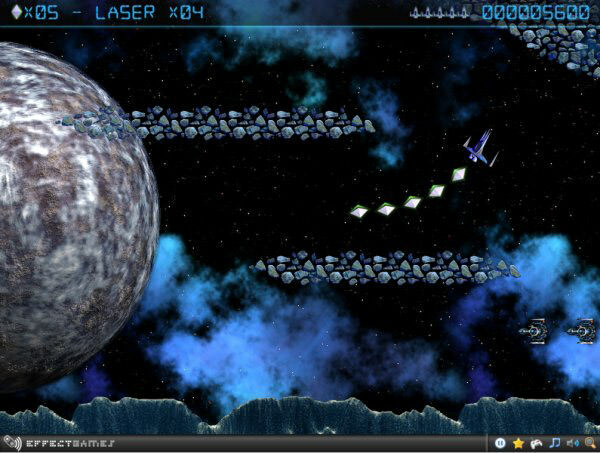 JS WARS is a classic shoot’em up written to demonstrate the power of modern web browsers using HTML5 technology. 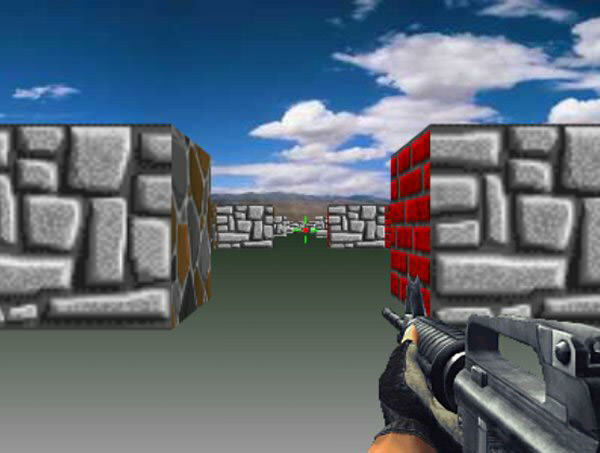 Not really a game, but it demonstrates how HTML5 can be used to develop First Person Shooting browser game. 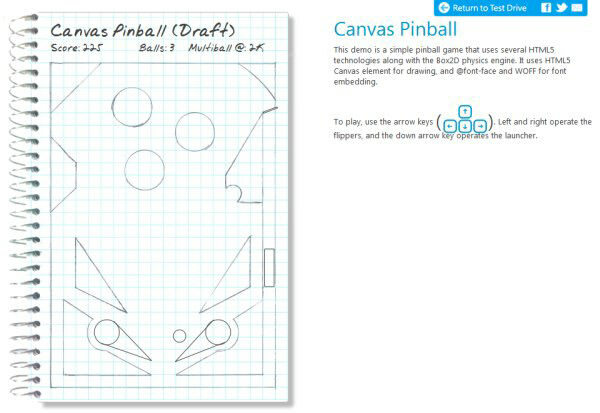 A simple pinball game that uses HTML5 along with the Box2D physics engine. 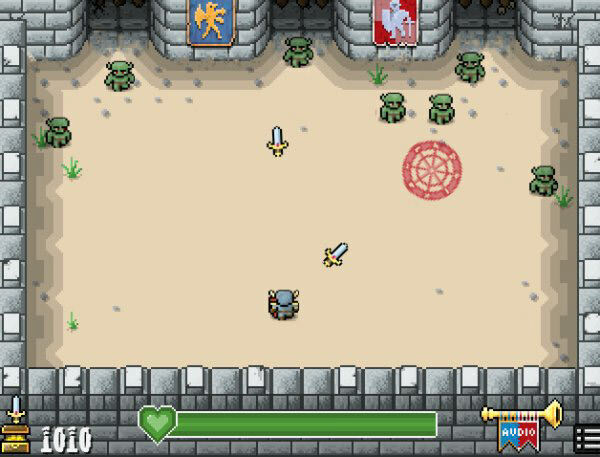 Fight off the horde with medieval weapons and power-ups, powered by HTML5! 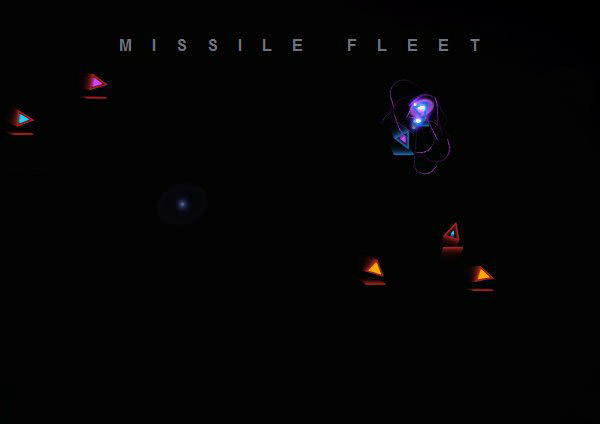 WPilot is a HTML5 space shooter with multiplayer capabilities. It exists as a proof-of-concept project, where authors are trying to push what’s possible in browser without Flash. Looking forward to witness more potential of HTML5, and eventually make something from it? Here are the useful resources for you!